Today I want to tell you all about an option that it seems many don't know about. Renting a wedding dress. Guys rent suits right? I know that often they seem to be a bit ill fitting and the material can be a little questionable but it's pretty common place. Financially speaking this seem a bit arse about face, I mean when are you ever going to wear that ginormous Sassi Holford dress again? whereas I'm sure that Mr newlywed will find plenty of opportunities to wear that dapper looking new Paul Smith suit. On average brides spend more than grooms on clothing for a wedding and are much much less likely to wear what they have bought again, so it makes perfect sense to me that a bride might rent her dress and a groom might buy his suit. So I wanted to introduce you to one of the services out there for renting a wedding dress; Girl Meets Dress is an online store where you can rent designer dresses at a fraction of the price. (I will be sampling their services for a very awesome wedding I'll be attending later this year). They have some absolute beauts in their store that I know I could never afford to buy and when you wear something that show stopping to an event, chances are you might only really want to wear it once anyway. What would you say are the benefits for a bride renting a dress for her wedding? "We all have those pieces at the back of the wardrobe, bought for yet another wedding/party/job interview but then not worn more than once! Hiring a wedding dress allows you to very easily wear your dream designer dress of choice with minimum hassle. We take care of everything, the dry cleaning and delivery, so it’s a weight off your mind whilst you’re trying to plan the biggest day of your life! Renting is ideal for a bride on a budget – why start your life together in debt? 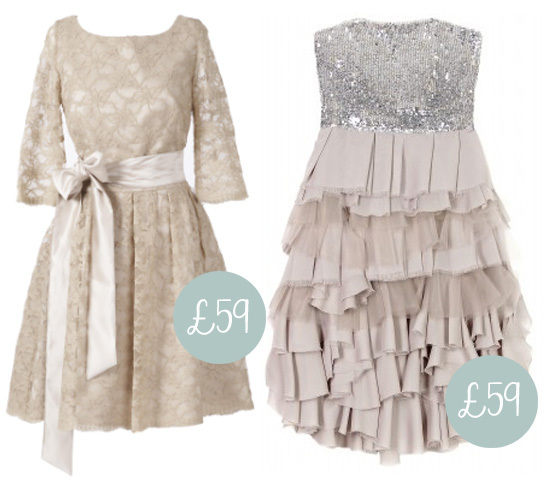 Our prices start from just £29 and you can try on a few dresses because we refund for anything unsuitable. Returning the dresses is free with our pre-paid postage label and very easy. Simply drop off at your local post office after the wedding day!" What about fit? Can a bride try on in advance prior to the wedding, or would they have to rent twice? "We have an extremely popular service called the Advance Try on, where, if your wedding is over 1 month away you can receive and try on the dresses now to choose your favourite. That dress is then re-delivered for the wedding date free of charge. You can choose up to 2 long or 3 short dresses to try on. We’ve also just launched Showroom Appointments in our offices in Battersea, London. Customers can now come into our showroom and try on as many dresses as they like. This has been very popular with brides and bridesmaids!" "We understand that some wear and tear may be inevitable and beyond your control. You shouldn’t have to worry about this on your wedding day. Our dry cleaner and seamstress can take care of most minor damage. And the £7 insurance charge on each dress you rent will cover these types of situations."